It’s time to move. You know why the move is necessary – you lost your job, the divorce is final, your spouse got a new job, or you are upgrading or downgrading. Now it’s time to let the kids know. This moving thing just got a lot harder. 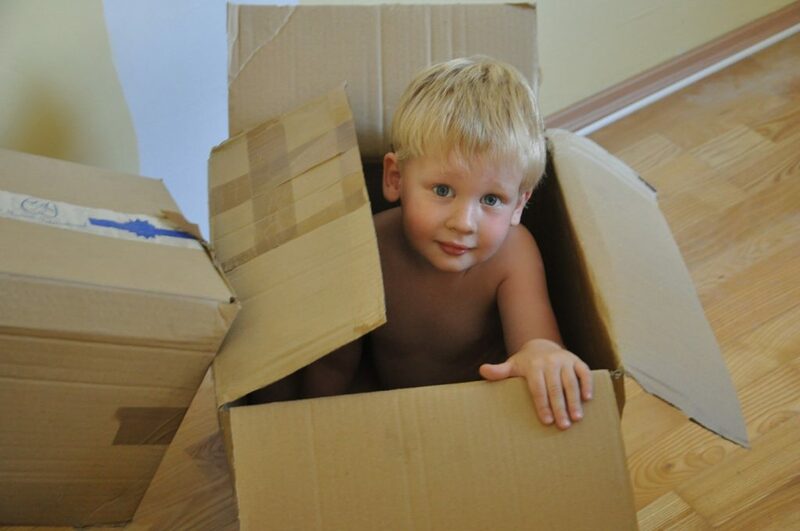 The stress of moving will affect your children, but how much will greatly depend on you. Your attitude about moving and your willingness to let your children be a part of the experience will greatly affect their transition and adjustment periods. Below are a few suggestions to keep in mind when moving with children. You know you child better than anyone, so take these suggestions and make them your own. Adapt them to what works best for your child. Kids are smart. They can tell when something is going on. The sooner you can be straight with them, the sooner they can be on board to help and the more time they can have to process what is happening. If you are moving for an exciting reason, a new home or new job, let them see your excitement. If your reasons aren’t so positive, try to keep a positive outlook and highlight as many good things about the move as you can. Either way, allow them to express how they feel about this new information. If they are old enough to understand what moving means, then they are old enough to help you in some way. Let them know what you expect from them up front, so there aren’t more surprises for them later. If you can, let the kids’ help pick out the new home. Get their feedback once you have narrowed your potential homes down to a few. Whether you are able to take them to see the homes in person, or show them pictures on the internet, let them feel involved in the decision making as best you can. Moving is a great time to get rid of things you don’t use anymore. Explain to your children why this is important and how they can help. Make cleaning up and starting over sound like a relief. But also make sure they understand that they are allowed to keep items that mean a lot to them. If you are able to have a moving sale, let them be involved in that too. There’s plenty of way kids can help – a donut or lemonade stand, or contributing their toys to help raise money for something fun the family can do in their new home later. Bottom line: Involve the children where you can. If they are old enough to be creative, let them pick their wall colors. Try to get them thinking about their new room layout. With teens, some parents have been able to give them a ‘new room budget’ and let them pick out new furniture, paint, and decorations. If your child is interested in helping you decorate other rooms in the house, let them. This is their new home base and they should feel comfortable. If you are moving to a new state, or even a new town, this can be a very proactive step in curbing your child’s adjustment period. All kids know how to search the internet, so let them. Ask them to find 3-5 places that they want to visit once you get settled. This helps build their excitement and gives them something to look forward to. A big note to parents: This suggestion only works if you follow through with taking them later on. You may even want to sit down with them and schedule a time to go after most of the boxes are unpacked. If your child has made any new friends by the time it is time to go, let them come along to these places too. If your child will be starting a new school, do everything you can to set them up for success – drive by the school, meet the teachers, help your child find the extracurricular activities that they are interested in. Saying goodbye is hard, but technology has changed the way we can keep in touch with old friends. Give your child ideas on how they can stay in touch with their besties. There’s always social media, but don’t forget about other ways. Video chatting is even better than a phone call because you can see their faces and the familiar rooms in the background. This gives the kids an opportunity to show their friends around their new home with just a phone or laptop. Even video games can often still be played together. If you aren’t moving to the other side of the country and can schedule play dates, do it. Having a fixed date of when they will see each other again definitely makes the goodbye easier. This way saying goodbye really can mean see you soon. You know your child better than anyone. You will see how they react to the news of a move. Adjust your strategy where you can and remember you are in this together as a family. You will be stressed with the move, but you can find ways to try to get your kids involved in a way that benefits them but also helps you from pulling out all of your hair.